What do you do when your childhood sweetheart and now ex-boyfriend won’t accept it’s over? Lucy’s life is a mess. With her ex pursuing her across the country, she flees to Scotland and finds herself part of a reality TV show about love… will she find some answers or end up even more confused in matters of the heart? Marcus won’t give up on trying to rekindle his relationship with Lucy, not even on the day he should be marrying somebody else! 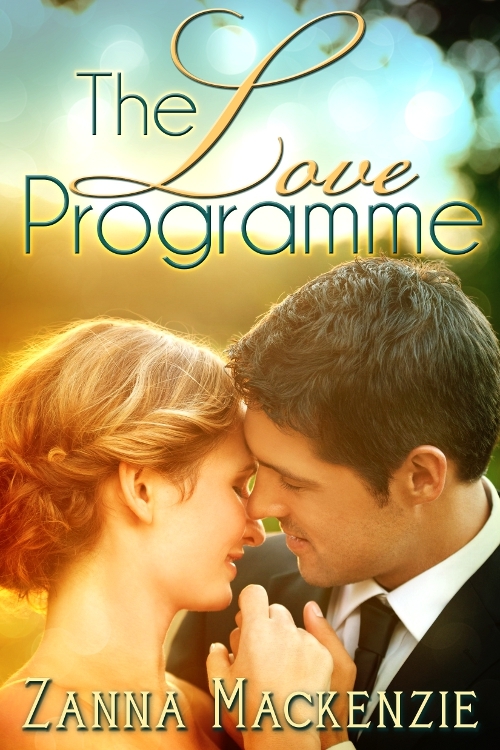 Lucy decides she needs a place to escape to for a while and fate seems to agree when she’s given the chance to star in a reality TV show called The Love Programme whilst enjoying two weeks of luxury living on a grand country estate in Scotland. When Lucy meets Paul, the owner of the estate, she thinks he might be The One but who is the mysterious Hannah and what part does she play in his life? With Marcus planning to win her back Lucy has some serious soul searching to do. “No, it’s definitely just you!” Lucy shook her head despairingly. “I’m so envious.” Fiona sulked, folding and unfolding the corner of the duvet around her fingers. Zanna has written three novels, The Love Programme, How Do You Spell Love? and If You Only Knew.